It’s March and I have an amazing giveaway for you! 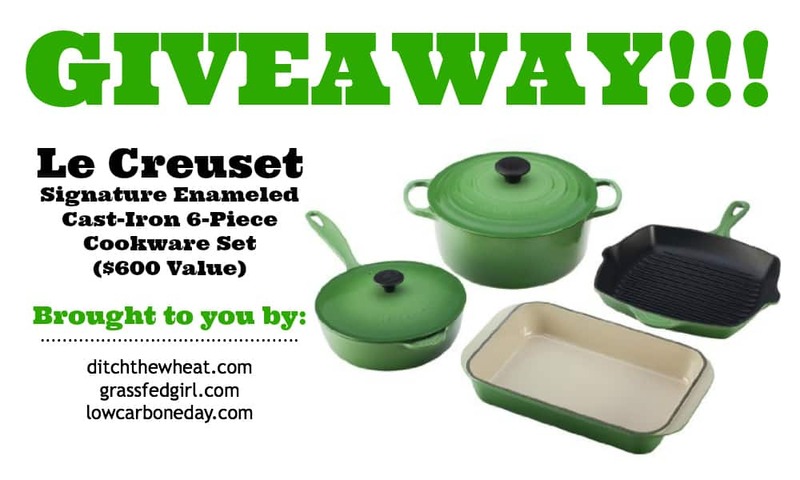 This month I am giving away a 6-piece Le Creuset cookware set!!! The prize is worth $600! This giveaway is self sponsored. That means I paid for it along with two of my blogger friends, Karen from Living Low Carb One Day at a Time and Caitlin from Grass Fed Girl. 2. Subscribe to the Ditch The Wheat newsletter. I send it out once a week. A winner will be chosen via random.org. We will announce the lucky winner on Monday March 31, 2014. The winner will have 48 hours to contact (lowcarboneday at gmail dot com) with his/her full name, address, and phone number. There is no purchase necessary to win. This giveaway is open to everyone. If the chosen winner is outside of the United States an Amazon Gift Card of equal value to the purchase price will be given to the winner. I tried to enter in the contest but not sure if I did it correctly. Any feedback would be appreciated. Thank you! If you were able to enter information into Rafflecopter then you probably entered the contest correctly. What an awesome giveaway! I’ve had the pleasure only once to have a dinner made from the pot and it was incredible! Good luck everyone! 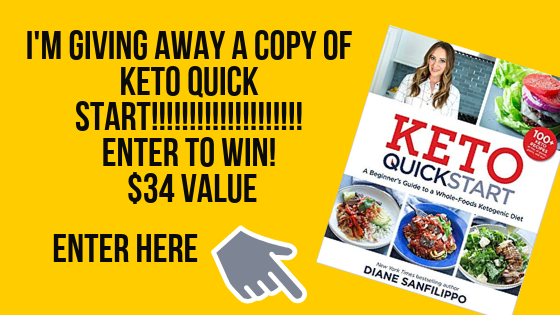 I would love to be entered in the giveaway. Green’s my favorite color!